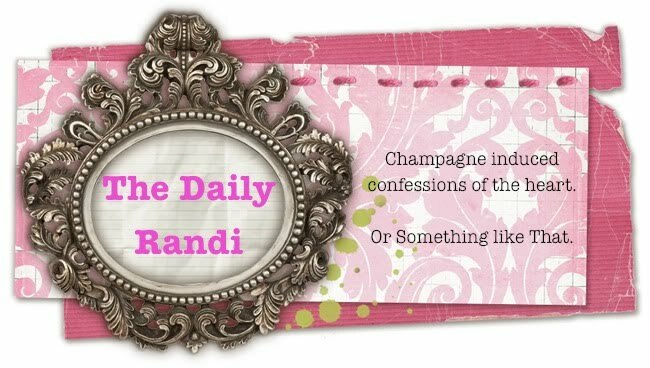 The Daily Randi: This Also Explains Why The Jonas Brothers Are So Popular. This Also Explains Why The Jonas Brothers Are So Popular. Oh, man, am I Tired. I am So Busy with Work, I can’t think straight and I can’t sleep at night, worrying about All The Things I Still Need To Do. I also haven’t had time to take care of The Important Things, like Getting A Pedicure. The other day, I caught a parent eyeing my toes with Pity. Seriously, My Toenails are in such Bad Shape, I could pick up twigs with them and build a nest. Today I have The Entire Day Off and I intend to deal with the matter. I laughed, as did the other teachers in the room. When you are A Teenager, A Boy Must Have Nice Hair! That is Really Important! Hello, Duran Duran, anyone? So, even though her answer was Not Exactly What The Authors Of Our Play Intended, it made sense to my actress. Well, Whatever Works, I say! Across the room, a student was nodding her head in agreement. “That’s exactly what happened to my mom,” I heard her mutter. The hair must be it because those JB do not have good music. omg! i need a pedicure as well. my toes are starting to grow hair all over them. its quite grotesque. but i must agree with the whole hair ordeal. my 8th grade crush had such a hot mullet. but then he walked in on me doing something quite risque at school. so that didn't work out. haha. and i liked boys for how they smelled as well. and excuse me sarah, but the jonas brothers have glorious musical talent. It's not just kids! My best friend is just 33 (I'm 47) and she has ridiculous criteria for men. Hair is one of them. Also, use a cleaning service that has bonded people. Do not use Craig's List for cleaning people. The only other way is to borrow a friend's cleaning person. I wish I knew you better, because my husband's vendors always give us Scotch and we have tons of it and I don't drink it and he rarely drinks it. maybe she just really really REALLY likes hair, i do..
Great story! I bet my 8th grade self would have died if she knew her 40 year old self ended up marrying a bald guy. The Jonas Brothers are hot!!!!! I want to caress Nick Jonas!